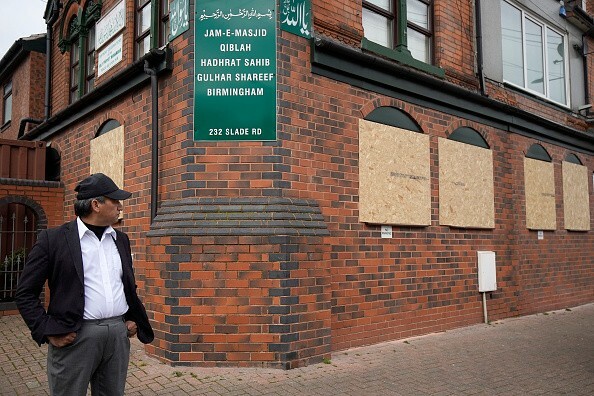 TWO men have been arrested on suspicion of “racially aggravated criminal damage” after windows at five mosques in Britain’s second city Birmingham were smashed earlier this week, police said Friday (22). A 34-year-old man handed himself into a police station and a 38-year-old was “detained by members of the community,” West Midlands Police said in a statement. “This is a significant step forward in our enquiries. However, the investigation continues into the motive for the incidents,” assistant chief constable Matt Ward said. “It remains incredibly important that we unite together against those who seek to create discord, uncertainty and fear,” he added. Witnesses reported seeing a man wielding a sledgehammer smashing in windows at two mosques overnight Wednesday to Thursday and three other mosques in the city were found similarly vandalised. 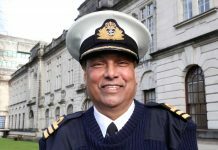 British national police chiefs last week announced officers were providing “reassurance patrols” around mosques in the immediate aftermath of a deadly gun rampage at two mosques in Christchurch, New Zealand.